So here is my weekly feature about what games I’m playing now and how I’m enjoying them – gaming from a Fabricated American point of view! So as always my first game is my beloved Wizard 101. Of course the big news this week is Celestia hitting the test realm, but that wasn’t really the big news for everyone’s favorite furry orange monster – I’m only level 33, so I can’t really do much with Celestia. I did hop onto test realm and bought some new mounts – I’m in LOVE with the ancient Koi, it’s such a fun and awesome mount! I can’t wait to get one in the real game – so cute! And Madame Jasmine likes it to! One big game change this week for me was changing my secondary school spells. After 33 levels it has become clear to me that I am a much more aggressive player than I thought I was and my play style is more about damage and knocking my opponent out fast – I rarely used my satyr healing spell and that was all I used from the life school. So what did I switch to? Death. Yup – I’ve trained death to Feint and then grabbed the elemental trap and blade from Krokotopia. I hit Jaques the Scratcher for over 2000 damage and he didn’t even get me below 1000 health, so yeah, I do enjoy the big damage numbers. Instead of my traditional screen shot for Wizard 101 this week I’m putting a video in of some of my Halloween questing, since I realized I hadn’t posted a game play video and people like those – so here you go! I’ve only played about an hour of LOTRO this week because I was having so much fun in Wizard 101. I DID get all the way to The Shire and actually made it to BAG END! Ancestral home of Bilbo and Frodo Baggins!! 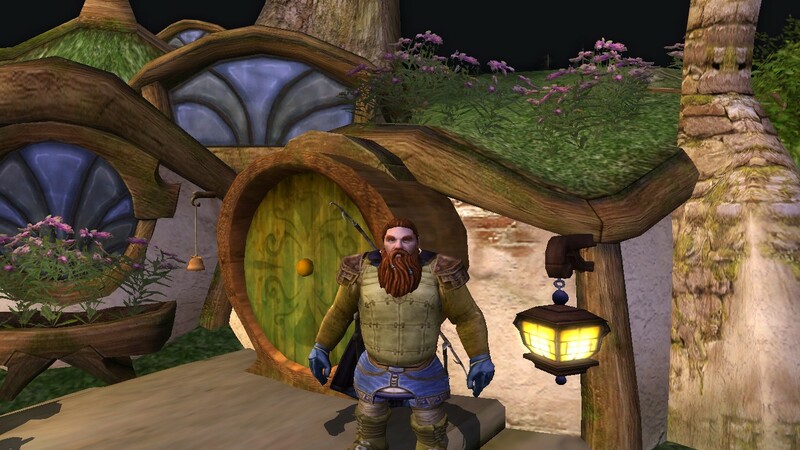 I have to say, this is where LOTRO excels – it literally pulls you into Tokein’s world, and if you’re a fan of the books, it’s details like this that make you say ‘ooooh, ahhhhh…’ I totally did the tourist screenshot thing here, my dwarf Ditto Monster in front of Bag End… So cool!! 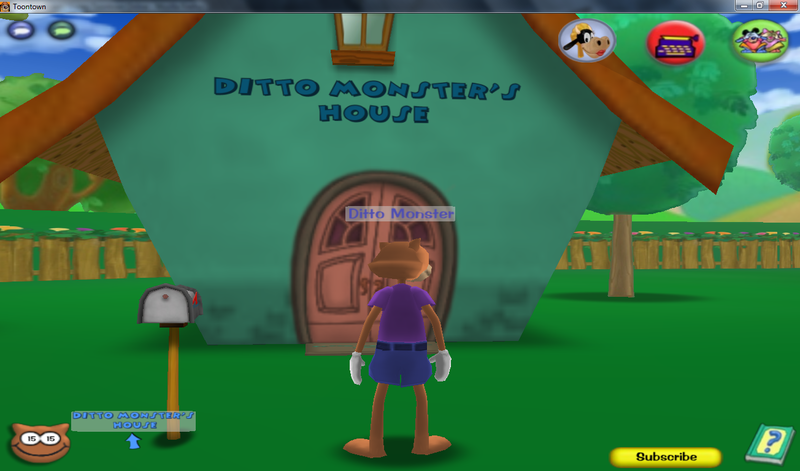 So my game of the week this week was from a suggestion made last week – I started playing Toon Town Online. So I know this is an older game, at least 5 years old, but I have to say, it’s still fun. The basics are a lot like Wizard 101 – you have a similar combat setup (though totally different combat mechanics) similar kinds of quests, housing – it’s just with cartoon characters instead of student wizards. There is also far less ‘story’ to it – it’s pretty light on storyline overall – but it’s still clever and cute. I created an orange cat character and named him Ditto Monster, and right now he’s got a squirt gun and he can throw pies, which is pretty hilarious, I like the character design. The game certainly shows it’s age a bit, but I think it’s something I’ll play once in a while – while not as in depth as Wizard 101 it’s still quite a lot of fun overall! That’s it for this week – stay safe, have fun, see you in The Spiral!!! 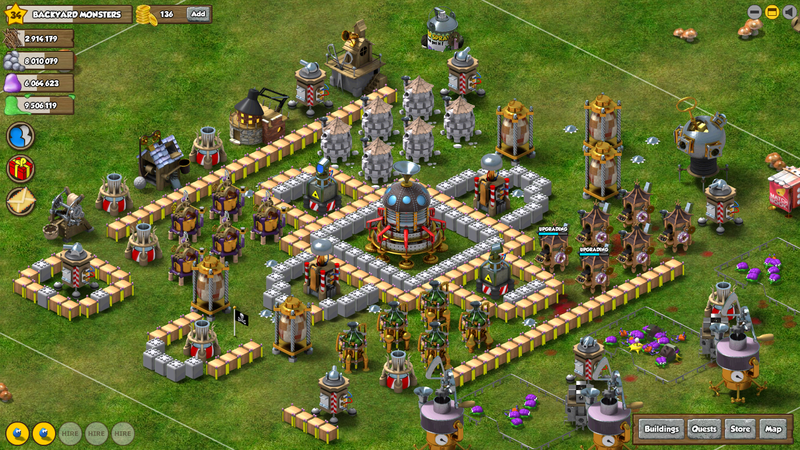 This entry was posted on October 15, 2010 by dittowizard. It was filed under Fabricated American, Gaming, vBlog . Hey Ditto, given your switch from life to death, you might consider using the necklace that gives one satyr card in situations where you want that heal. Otherwise, the necklace that gives better fire traps is worth a look, unless you’re using a lot of DOT spells.